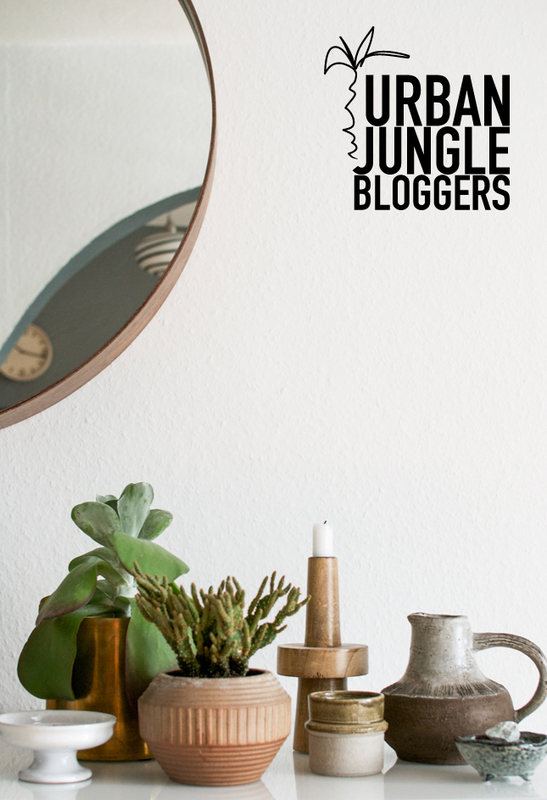 Now how smart am I to suggest the topic ‘My Plant Shelfie’ for the October edition of Urban Jungle Bloggers without really good shelves at home to style up? Well, let’s say it was a kind of challenge! 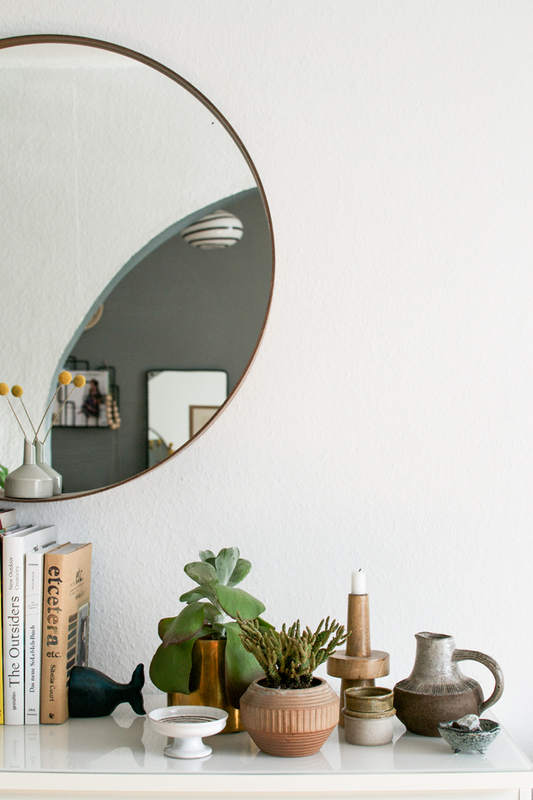 My only bookshelves are tucked in a corner of my living room with a minimum of daylight and the are deep and a bit crooked (but I plan to buy a new bookshelf soon) – perfect for a styling, right? Anyway, at Urban Jungle Bloggers it is all about fun with greens and we do not imply any rules, so let’s roll it with my plant shelfie! 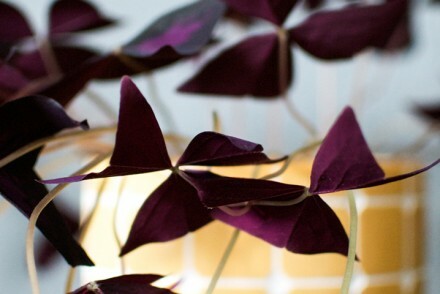 Adding a plant or two on a shelf is a good idea, no it’s an excellent idea! 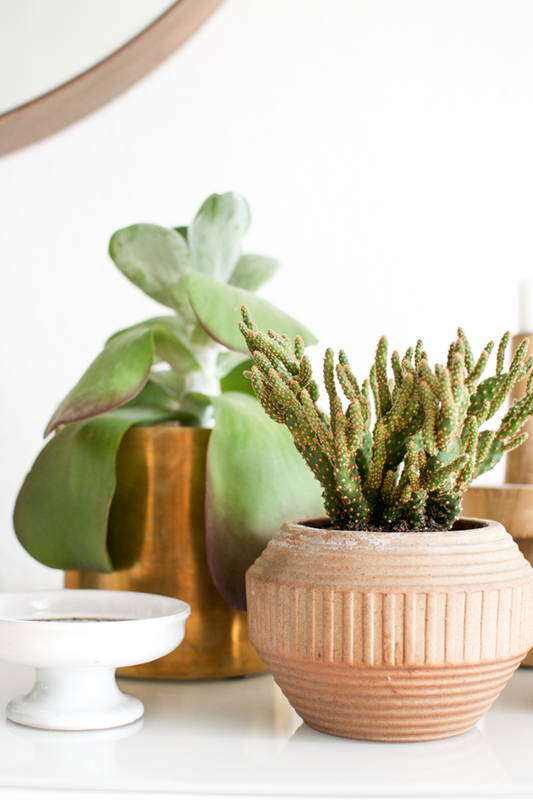 Whether it’s a prickly cactus, fleshy succulents or sculptural hanging plants – play around and see the magic unfold before your eyes. Since my shelf is a bit compact I’ve decided to dedicate a full shelf only for some decorative items and stuff all books on the other shelf. 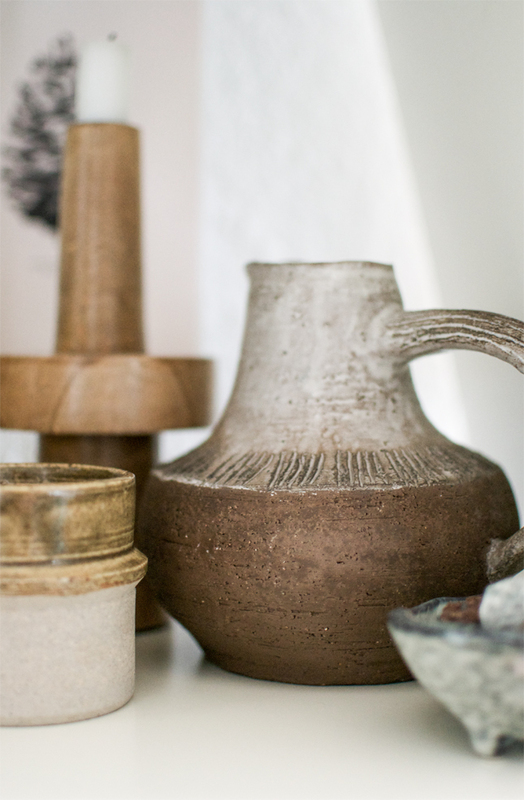 My current mood is very earthy, balanced, vintage. I chose my paddle plant and a cactus to add the green factor. 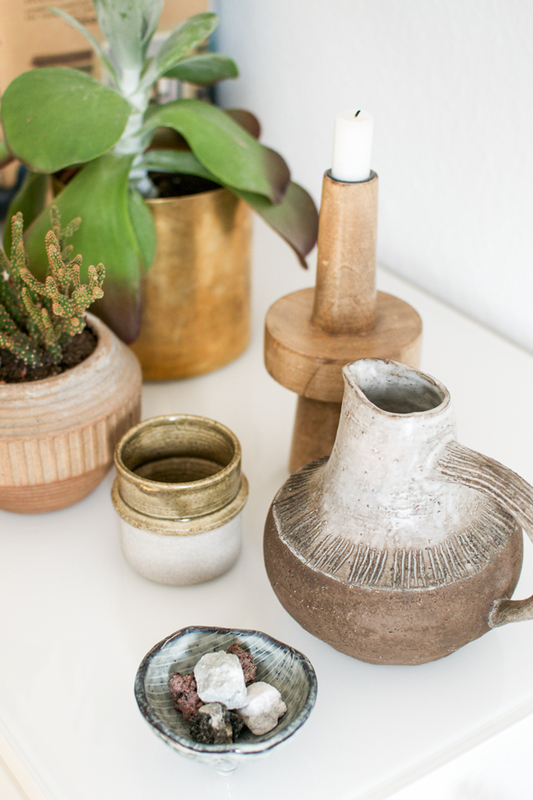 I paired the plants with some vintage ceramics in earthy tones, a wooden candleholder and a few stones I’d collected during my visit to the volcano Vesuvius in Italy. 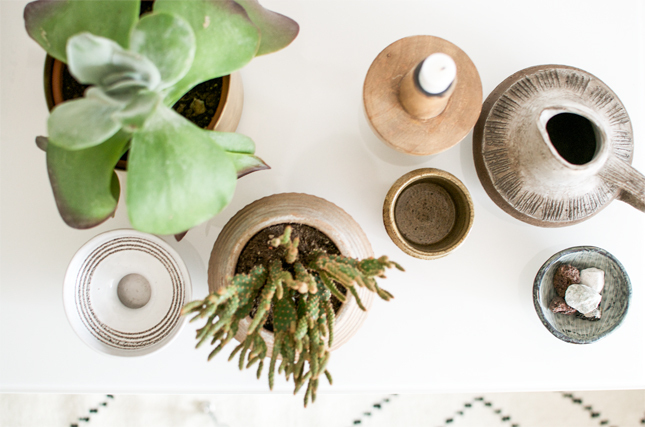 The plant pots match the colour scheme too – the cactus is planted in a vintage terracotta pot and the paddle plant in a brass pot for a dash of bling. 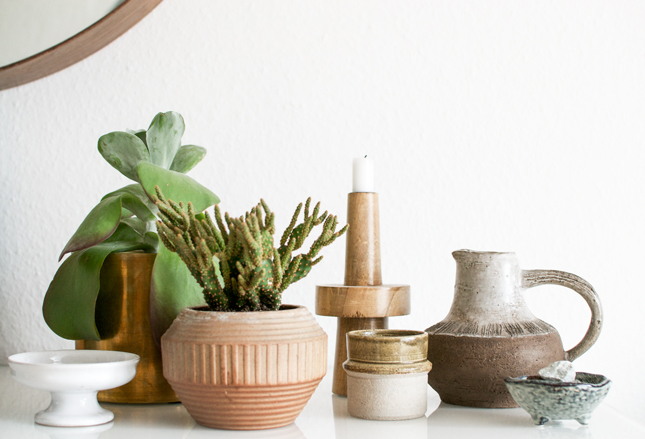 I feel that the plants perfectly match the vintage and earthy theme and it absolutely resonates with my current mood. 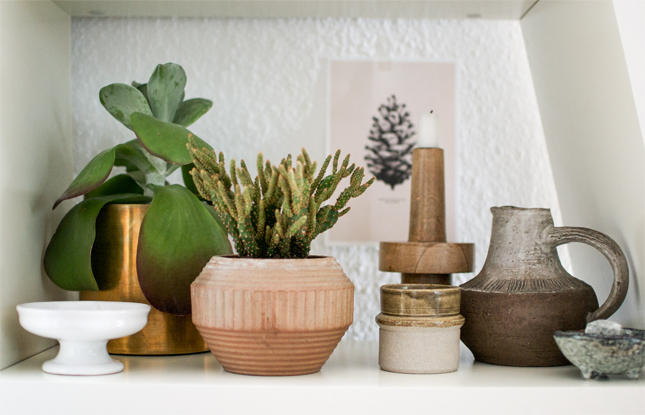 In order to put ‘my plant shelfie’ into a better light, I have placed it on my sideboard too – the light is better and it is easier to take pictures of it – so please excuse my little trick! But enough with my plant shelfie, now I am off to discover your plant shelfies as this edition is a special one – we will pick five winners with the best ‘plant shelfies’ and they will receive a little something from us! Join in if you haven’t already – you’ve got almost an entire month to join the fun (until November 15th). 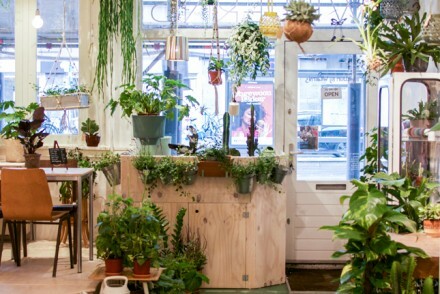 We are looking forward to your plant shelfies! I really love this composition with all his natural colors, materials and textures! Ha! I think we’re not alone in our quest for new pretty shelves (with good light!). Really enjoy your colorscheme, is very earthy, balanced and vintage indeed. And without any blue! 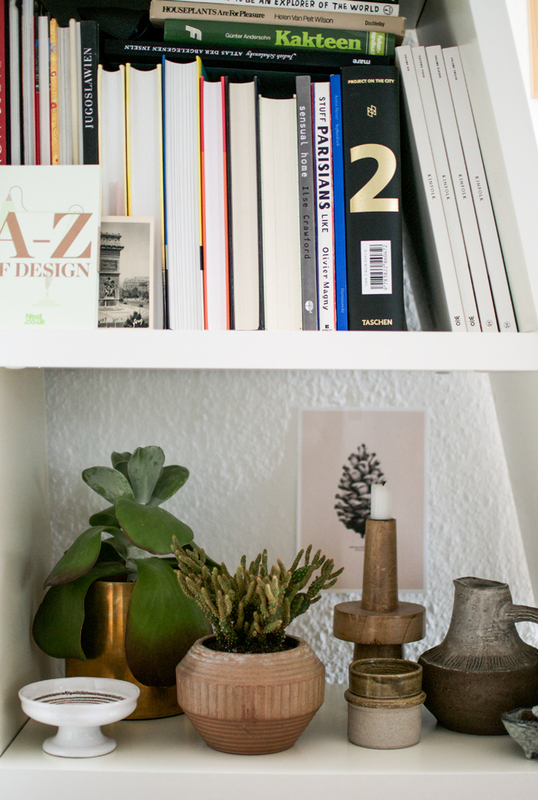 Also love how your plywood clock makes a little appearance 😉 Yayy for more plantshelfies! Very earthy, masculine and dare I say ‘sophisticated’. Very nice indeed. Good Luck to everyone and thank you for a great October theme. Looks brilliant – I love all the textures. Can’t wait to see what everyone else comes up with and I’ll definitely join in this month. …und ich freu mich auf dein plant shelfie! 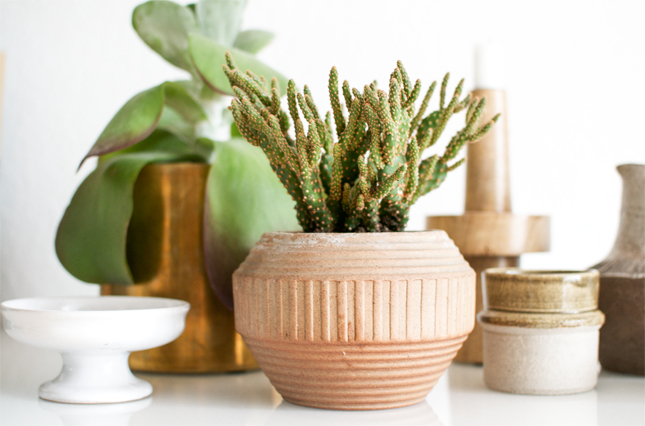 Really like that brass planter, and I just love that tiny bowl with the little feet! Haha, überall die Suche nach Regalen :-))! Ich hab bei meiner Vitrine sogar die Tür ausgehängt, damit es bei Euch als Regal durchgeht ;-)! Phantastisch, Deine erdige Kombination! So beeindruckend immer wieder ,wie unterschiedlich Pflanzen aussehen, allein wenn sie schon in anderen Töpfen sind! Ja, aber ich hab schon ein Auge auf ein bestimmtes Modell geworfen. Jetzt muss ich es halt nur noch bestellen:-) Und ja, der Blumentopf macht den Unterschied! Das stelle ich auch immer wieder fest! Love the earthy tones. I’m trying to create my own collection of unique, interesting vases so I’m always so fascinated by other’s collections of certain items. This is great, fabulous shelfie Igor! Thank you Helen and thanks so much for joining our Urban Jungle Bloggers fun! 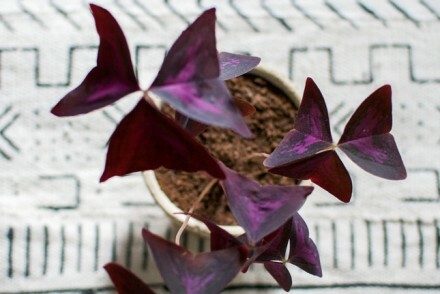 Here’s to more green blog posts! Sehr hübsch! Woher ist denn der tolle Holz-Kerzenständer?